In February 2016, Kenya Bankers Association launched an interbank mobile money transfer service called PesaLink. 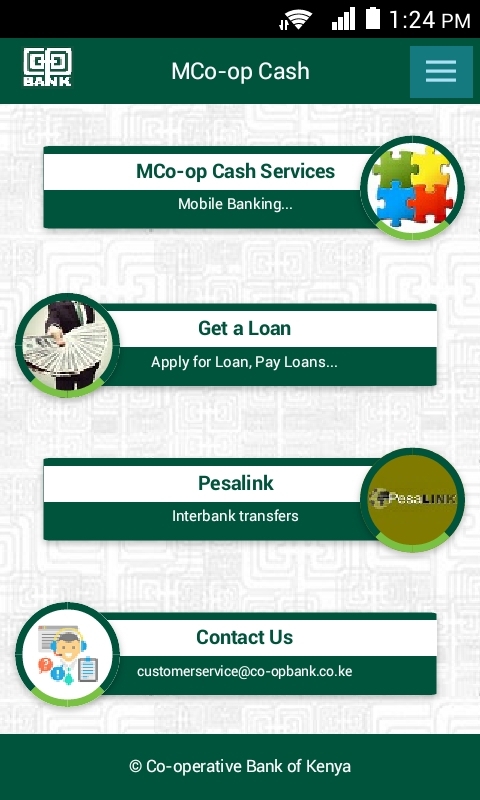 The service which is a brainchild of Kenyan banks, and is operated by Integrated payment service limited (IPSL) is set to offer quick and affordable interbank transfers through mobile devices. “WE ARE SPECIFICALLY TRYING TO PROVIDE A SERVICE THAT IS AVAILABLE TO THE CONSUMER, EVEN AT THE BASE OF THE PYRAMID” – HABIL OLAKA, (KBA) CEO. According to information provided by IPSL, customers can make real-time transfers ranging from Ksh. 10 to Ksh. 999,999. Any amount below Ksh. 500 being transferred, will not attract any transaction charges. However, for transactions above Ksh. 500, IPSL will charge banks between Ksh. 10 to Ksh. 12, and it’s up to the banks to determine how much of the cost they will pass to the user. To prove its suitability for consumers, we decided to test PesaLink and share our experience with you. 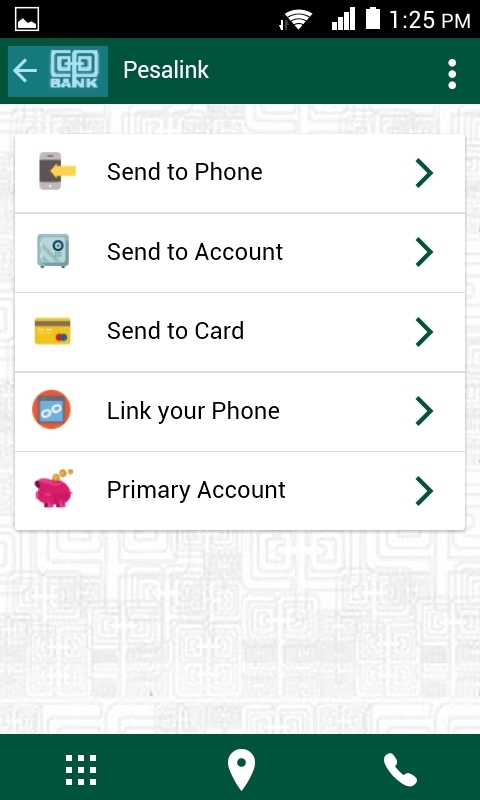 With that in mind, we decided to send money to different bank accounts using our mobile phones. Initially, we decided to attempt an interbank transfer through the normal bank channels but were put off by the fees and the length of time for transactions to be processed. For example, my bank charged a standard fee of Ksh. 500 for RTGS bank transfers, which can take up to 4 hours for the transactions to go through. Transacting through EFT would cost Ksh. 150, but it would take a day or two for the other party to receive the funds. For the purpose of the exercise, we selected two banks that offer the PesaLink service, Co-operative Bank of Kenya and Diamond Trust Bank. 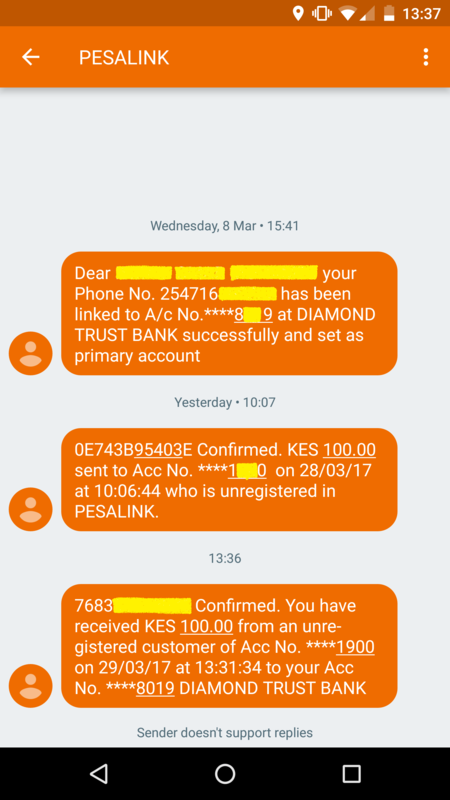 Fortunately, Co-operative bank had a brief, on how to use PesaLink on their website thus all we had to do was follow the instructions. 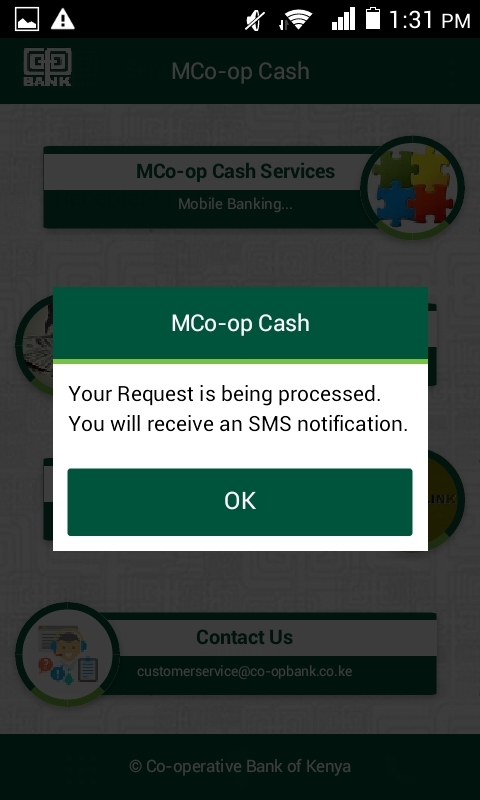 To send money through the service, the sender has to link his phone number to his Co-op account either through a Co-op ATM or MCo-op Cash mobile app. There is no charge involved in the linking process. 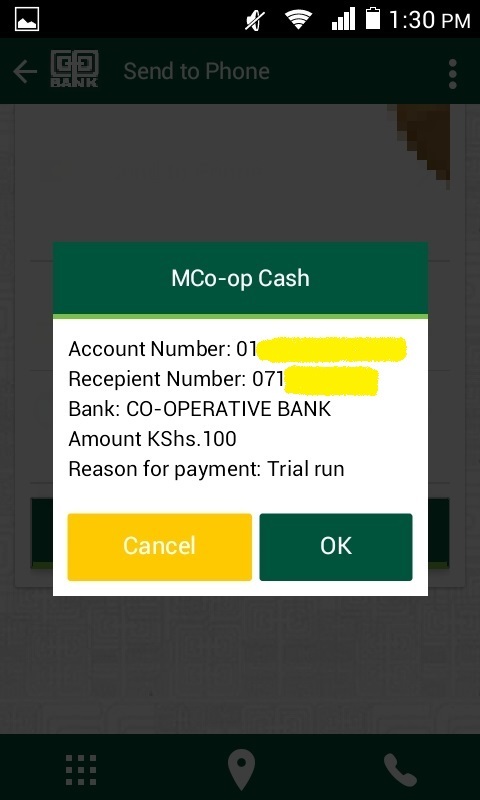 At the start, we decided to use the MCo-op Cash app, as it was more convenient. However, when we downloaded the app and tried using it, but were unable to sign in. 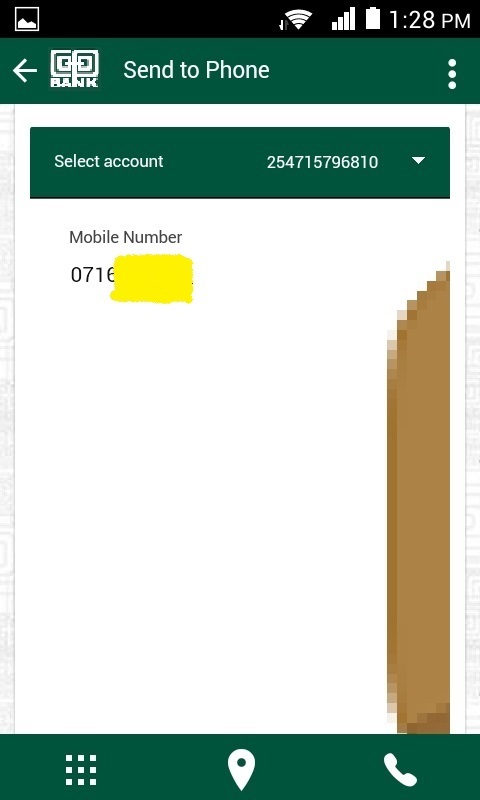 It turns out to log in you need to request a PIN from any of the Co-op branches countrywide. Trying to avoid a trip to the bank, we went for the next best option, linking through a Co-op ATM machine. However, to our surprise, the PesaLink option was missing from the ATM menu. Thinking this was an isolated case we switched to a different ATM machine and got the same result. Feeling frustrated we decided to put this option on hold and continue with the first one. We can only assume the PesaLink feature is being installed gradually, across the Co-op ATM network. In the end, we managed to link the mobile number to our designated primary Co-op account, though this was handled by a customer care rep at the branch. Also, after 2 more trips to the bank and a few PIN resets, we were finally able to log into the MCo-op Cash app. It was now time to set up a money transfer! 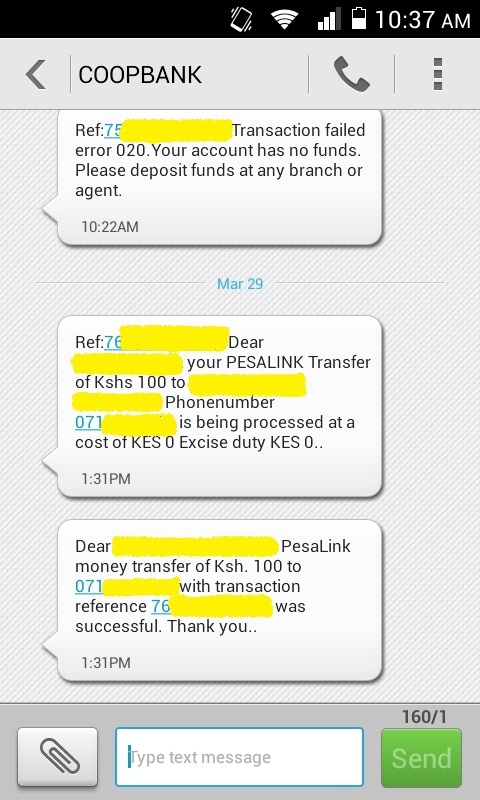 Since we were already linked to PesaLink on the recipient side by the DTB Mobile App, we were set to go. We settled on Ksh. 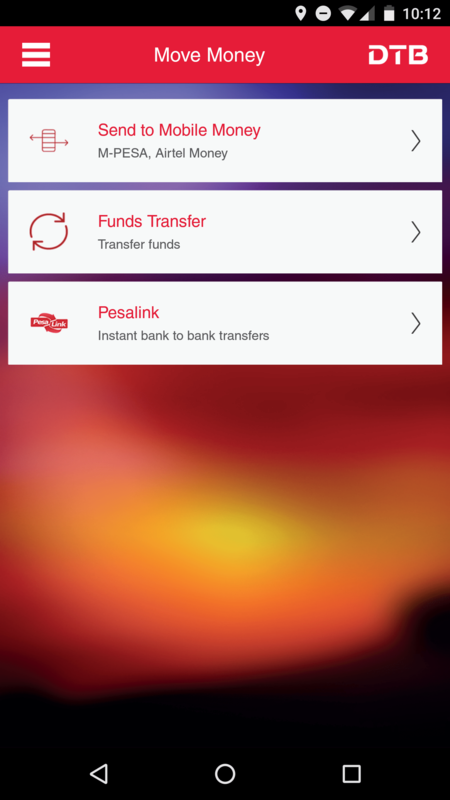 100 being the transfer amount, and we would use MCo-op and DTB mobile apps respectively, to facilitate the money transfers. Our first transfer was not successful as we had hoped. 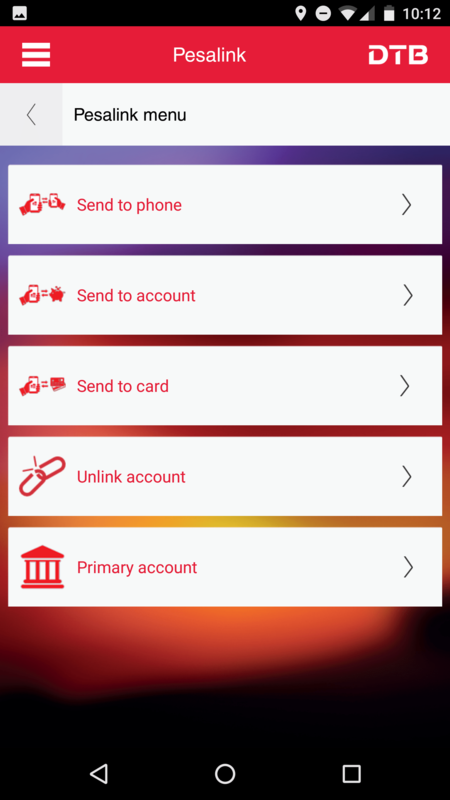 Using the MCo-op app to send money to a DTB account was simple enough, though a bit long due to the confirmation of details at each stage. I believe these are put in place to prevent erroneous money transfers. At the final stage, we couldn’t confirm our transaction details due to a supposed service error on the MCo-op cash app. 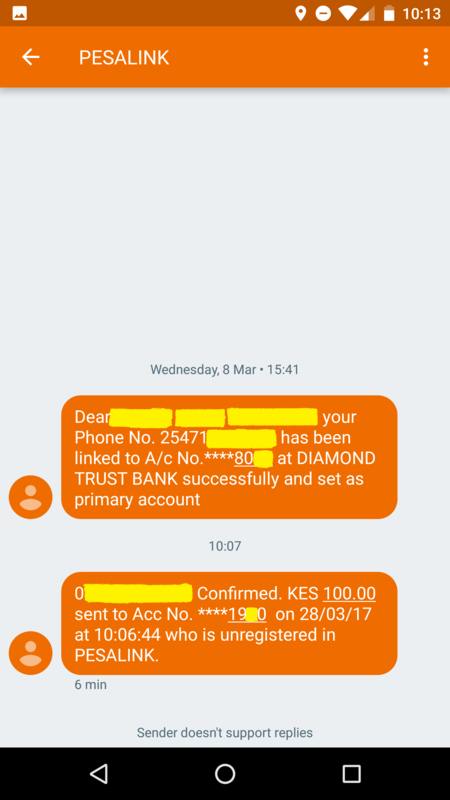 In the second attempt, we switched roles which included, money being sent from the DTB mobile app to a particular Co-op account. The amount being transacted would remain the same. I was pleasantly surprised when the transfer went through with the exception of a few hitches. It took close to a minute to set up the transfer and send the money. The only drawback is the recipient did not get a confirmation message. The following day we decided to repeat our first attempt and see if we could transfer Ksh. 100 through the MCo-op PesaLink option to the recipient at DTB bank. Following the same steps in attempt 1 (see above), the process was successful and here is a screenshot of the last stage of the process. The entire process lasted about a minute, and the recipient received the confirmation SMS after 3 minutes. 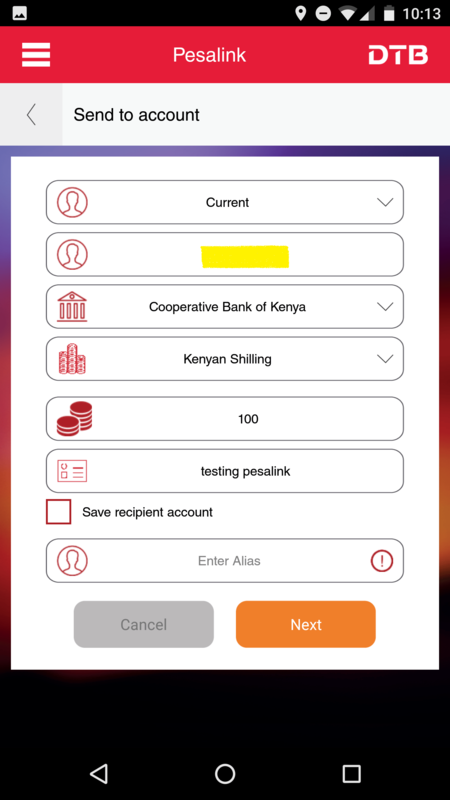 PesaLink, is a unique product that has a number of benefits for working Kenyans and businesses. The almost peer-to-peer money transfer service is affordable when compared to traditional money transfer systems in banks. By eliminating costly intermediaries, incorporating the use of mobile devices and drastically reducing the waiting time for transactions, it facilitates quick and convenient interbank money transfers. However, they are a number of challenges we experienced during our trial run that need to be addressed. To begin with the integration of banking systems to the platform needs to improve. For example, we couldn’t link our account through a Co-op ATM, since the PesaLink option was missing from the menu. 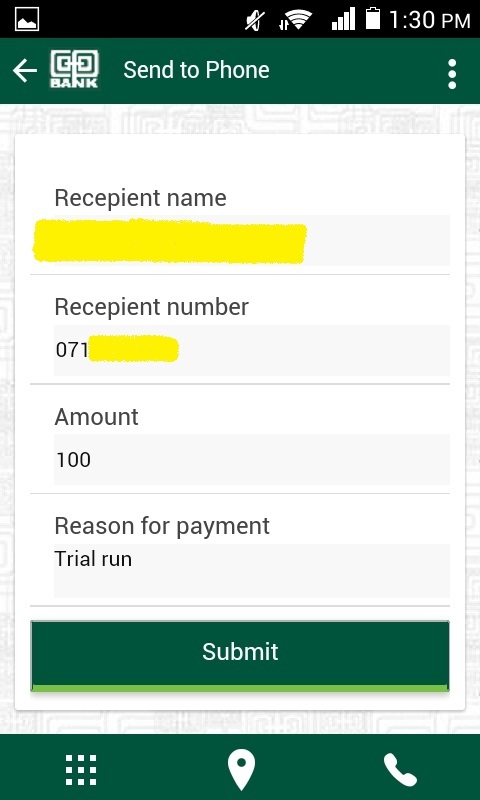 Also, during our second attempt to transfer funds, the recipient did not get any SMS confirmation of the transfer. 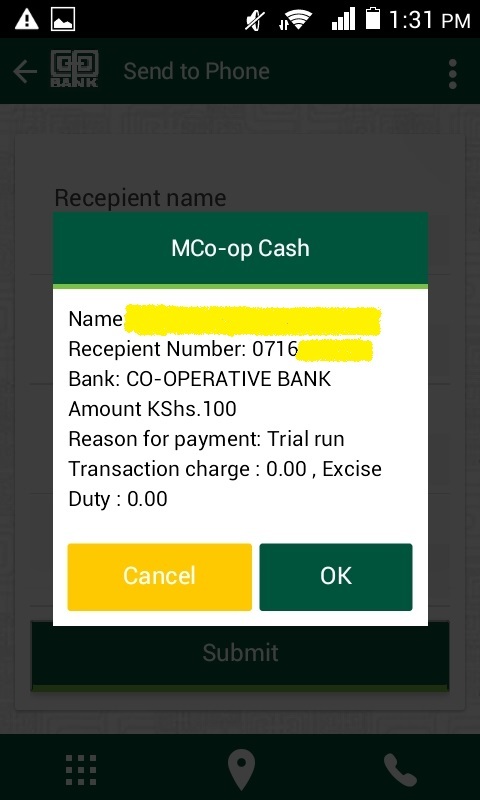 This forced us to do a balance inquiry on the MCo-op app, and therefore incur a Ksh. 38.50 charge. While this may be an isolated case of delays in the bank’s legacy systems, such delays can cause the platform to lose its credibility among customers, who want instant and safe money transfers. At the moment it would be interesting to see how PesaLink performs in the coming months, especially against telcos and mobile money transfer services. With 23 banks already offering the service and over 2 million subscribers, we can expect additional payment options and other innovations. 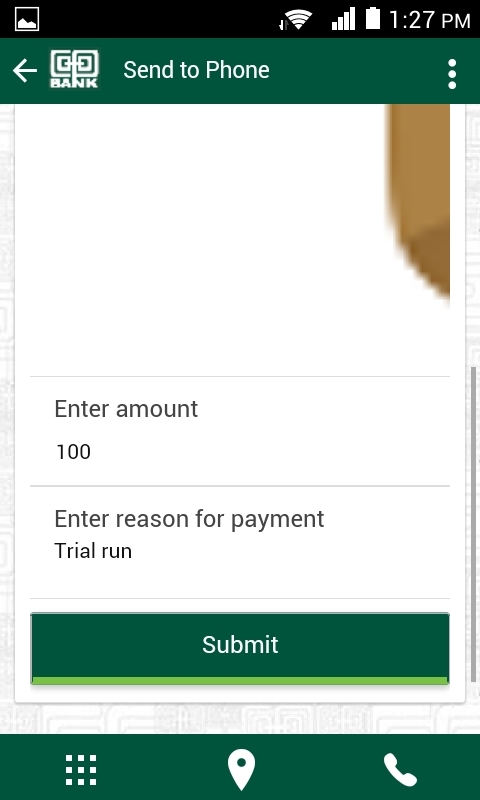 That being said, it would be interesting to hear your experience and thoughts when sending and receiving money using PesaLink. For more articles on product reviews and personal finance, you can subscribe to our weekly newsletter! You didn’t mention the cost of the transactions in both ways.